Several passengers on a Jet Airways flight from Mumbai to Jaipur suffered nose and ear bleeding Thursday after the crew "forgot" to turn on a switch that controls cabin air pressure, officials said. "During climb, the crew forgot to select bleed switch due to which cabin pressurisation could not be maintained. 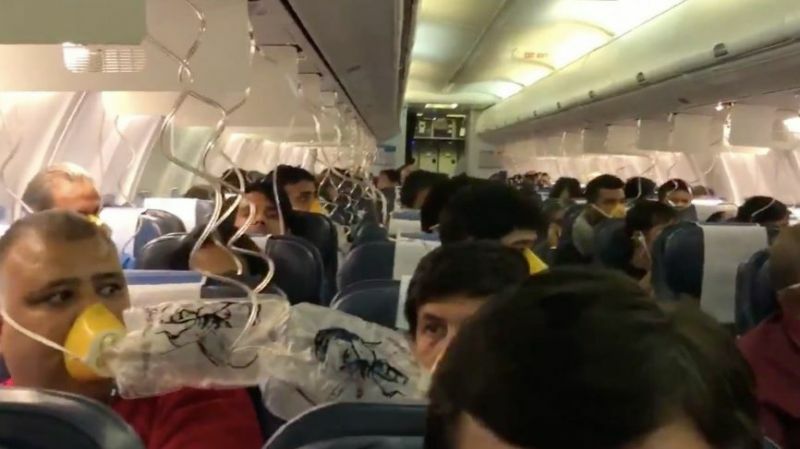 As a result, oxygen masks got deployed," the official at aviation regulator, Directorate General of Civil Aviation (DGCA), said. The Boeing 737 aircraft returned to Mumbai due to "loss of cabin pressure" and the pilots have been taken off duty pending investigation, a Jet Airways spokesperson said. Citing initial information, the official said few passengers have nose bleeding. "Out of 166 passengers on board, 30 passengers are affected... some have nose bleeding, few have ear bleeding and some are complaining of headache," he added. There were 166 passengers and 5 crew members on board flight 9W 697. The Jet Airways spokesperson expressed regret for the inconvenience caused to passengers and said alternative arrangements are being made for the passengers. 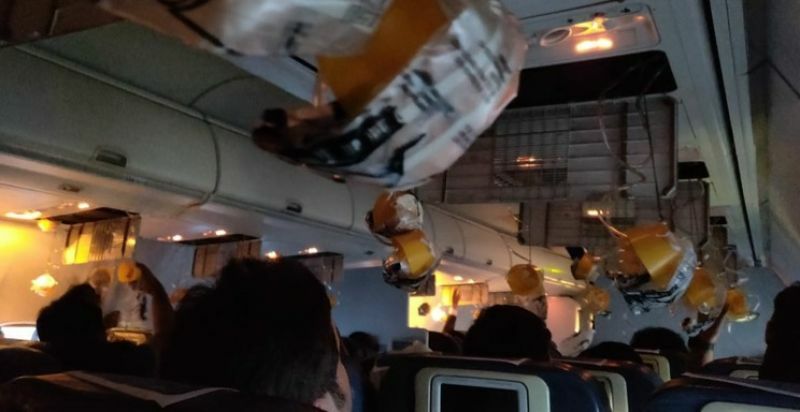 Television footage of a video apparently taken by a passenger showed oxygen masks hanging from overhead compartments and passengers breathing through them. The official said all the affected passengers are being attended to by doctors at the airport. According to the airline, the aircraft landed normally in Mumbai. "All guests were deplaned safely and taken to the terminal. First aid was administered to few guests who complained of ear pain, bleeding nose etc," it said. The Civil Aviation Ministry said it has requested the DGCA to immediately file the report on the issue. "The crew is being derostered. Of the 166 people on board, 30 were affected and have been given treatment," the ministry said in a tweet. An official at Aircraft Accident Investigation Bureau (AAIB) told PTI that going by the preliminary information, it could be a case of negligence on the part of the pilots since controlling cabin pressure control is part of check before operating a flight. The official said the DGCA would look into the incident first and then a decision would be taken on whether the matter should be referred to the AAIB. Serious incidents and accidents are referred to the AAIB for further investigation.